A new approach to traditional wallpaper is this idea of the new Swedish brand 'Off the Wall'. This is a 2 in one solution to decorate your room and create some storage room for your books. Off the Wall is a 3-dimensional wallpaper. The concept consists of two elements - wallpaper and 3-dimensional shapes of acrylic sheets forming shelves and lamp shades. The 3-dimensional shape is maintained over the wallpaper and set against the wall with the same wallpaper. 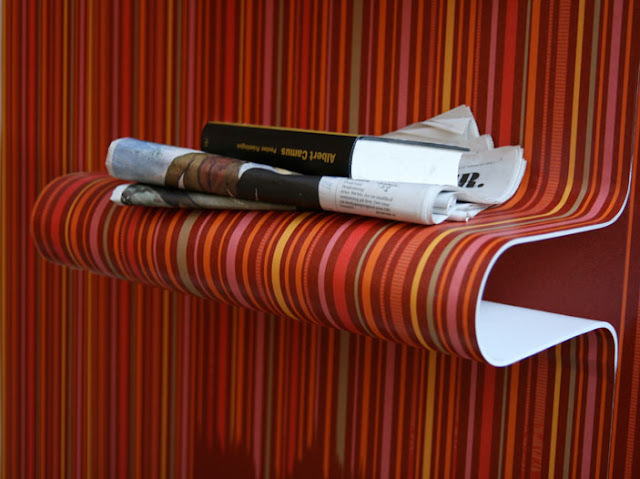 The result is that the wallpaper seems to come alive, bulges and rolls up, and forms to shelves and lamp shades. 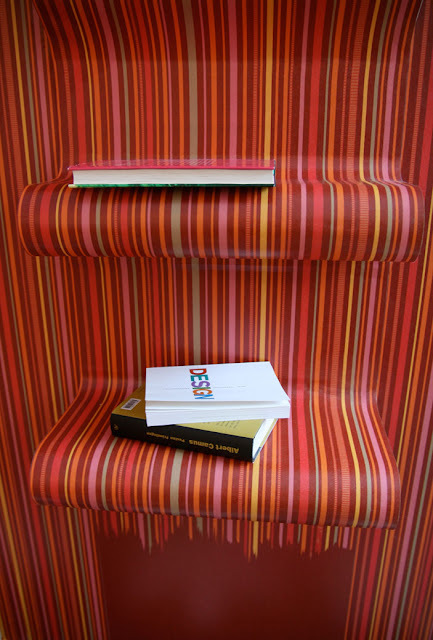 The shelves are sold together with specially designed wallpapers with exciting designs. The wallpaper is printed on demand by Your Wallpaper. The entire collection will be presented here at the launch in January 2010.